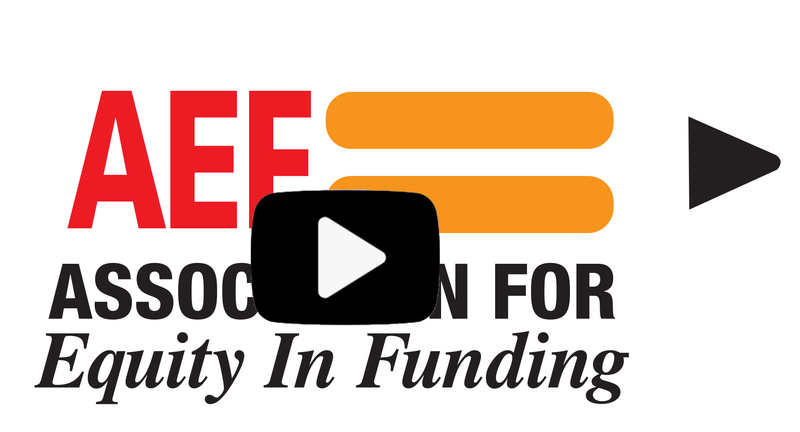 The Association for Equity in Funding (AEF) is a group of Wisconsin school districts that seeks financial equity in the state system of school financing. The members include larger and urban-type districts such as Green Bay, Chippewa Falls, Beloit, as well as smaller, more rural districts like Algoma, Antigo, Cornell, Spencer, Southern Door and Whitehall. In 2019, the following schools districts have recently joined: Gillett, Necedah, Turtle Creek, and Two Rivers. The two issues that brought this group together and have kept it together have been the wide differences in the amount school districts have been able to invest in the education of their children and the even wider differences in the property tax burden to pay for that investment. In 2000, AEF was involved in a lawsuit, Vincent v. Voight, to address the inequities in funding. The ruling found that the state was not adequately funding public schools in three areas: special education, English Leaners, and socio-economic status. Click here for a listing of school districts that were plaintiffs in the case. This website contains information about these and other issues impacting the distribution of state K-12 fiscal resources and their impacts on local school districts. In addition, analyses of existing state school finance policies and the positions AEF promotes to obtain greater fairness for taxpayers and students, alike, can be found here. Members of the association along with others are invited to review these materials. The mission of AEF includes heightening awareness of the issues and providing resources to school administrators, school board members, legislators and other state policy makers, and to the general public, and, as a result, anyone is welcome to review and use the materials posted here. Questions about the organization, its mission, becoming a member, or positions held by the association may be addressed to any of the members to the co-executive directors: Tony Klaubauf at klaubauf.waef@gmail.com and Pete Ross at associationforequityinfunding@gmail.com.